Funeral service will be held at Providence Baptist Church, 4105 Mccann Rd, Longview, TX at 10:00 am, November 23, 2018. Robert was born on July 15, 1940 in North Platte, NE. Following his family’s move toLemon Cove, CA he graduated high school at Exeter High School in 1958. He thenserved in the Navy for four years serving on the aircraft carrier Independence.After a life of work, primarily in the air conditioning and appliance arena, here tired from White Oak Independent School District as maintenance supervisor. 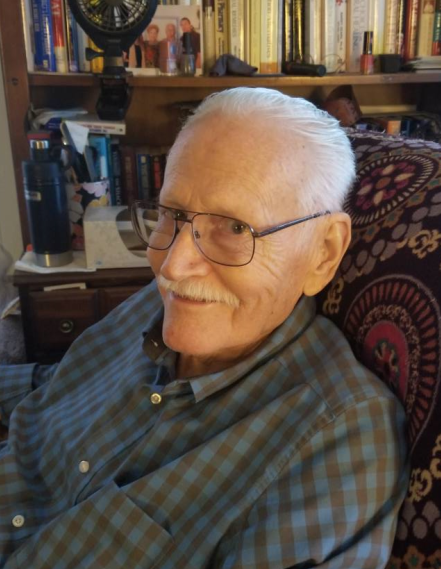 He enjoyed teaching air conditioning at Kilgore College and kept his mine sharp by pursuing many interests such as electronics, photography, woodworking, leather work,theology, and shooting his guns. He also loved serving and teaching at church and loved God. He was a kind and loving husband and father and a man of integrity. Robert is survived by his wife of 56 years, Beverly (Hayes) Miller; sons and their wives Derek and Brandee Miller, Brent and Rachel Miller, Drew and Leigh Miller, Blair and Kyrsten Miller; daughter Raven Miller; six grandchildren and three great-grandchildren.